Words Have Power – Read All About It (1979)! 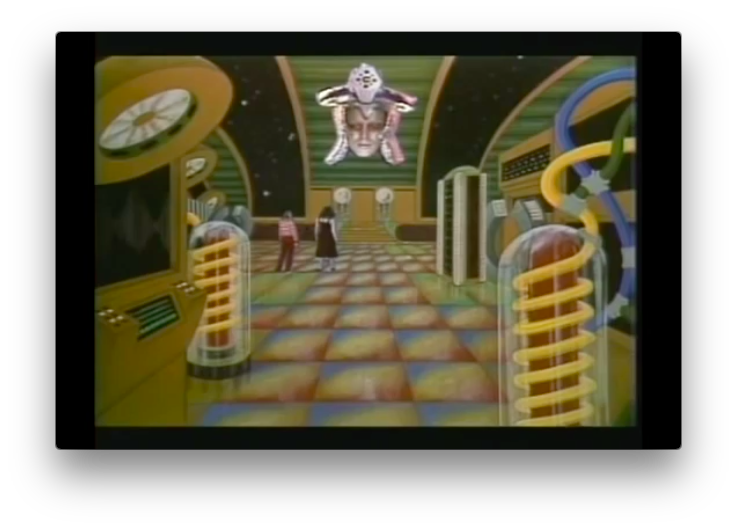 There’s something really beautiful about kids’ public television in the 1970s and 1980s. 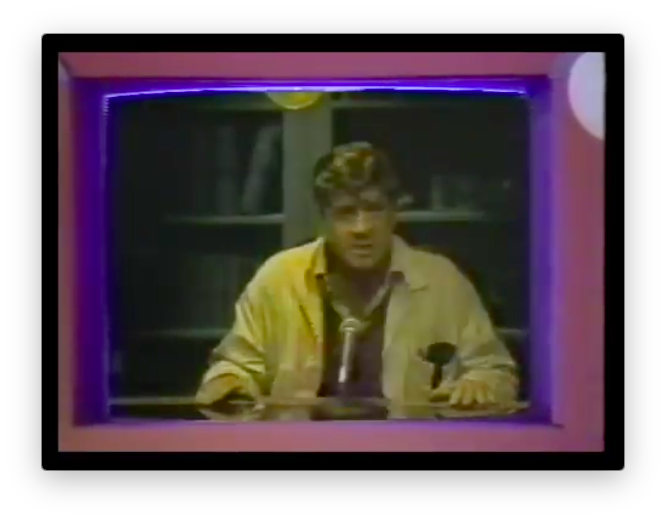 With government funding and then-still-high public enthusiasm about TV’s use as a teaching tool, the floodgates seemed to be open for production on all sorts of ideas at the national and local level. These decades saw some really creative programming developed all over the world, with varying degrees of production polish. The good ideas didn’t always translate into capital-G-Good shows but they were still worth a watch and did their jobs well, and for me that ends up being the defining charm of the era. 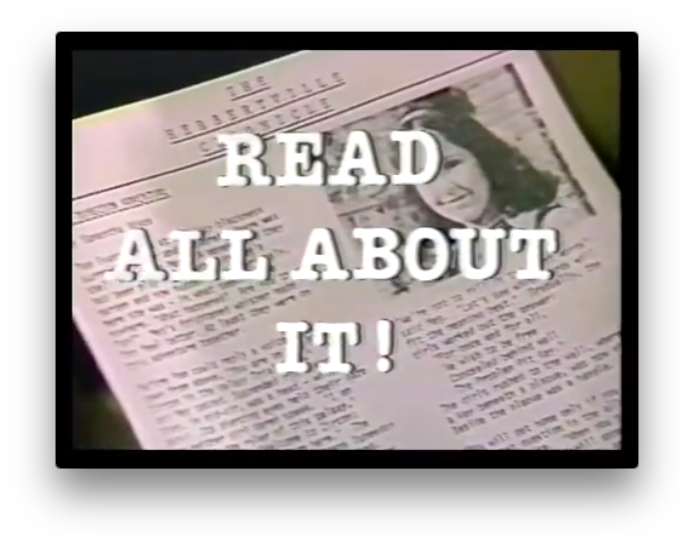 Take Read All About It!, a 1979 TVOntario series about writing, critical reading, and history. it features three kids in what ends up being a galaxy-sprawling conflict, with aliens and robots and interplanetary travel, all fueled by word problems. It’s got a real A Wrinkle In Time meets The Phantom Tollbooth feel. Chris, Sam and Lynne arrive at a carriage house bequeathed to Chris by his missing and presumed-dead uncle. That’s weird, right? An uncle giving an eight-year-old a house? 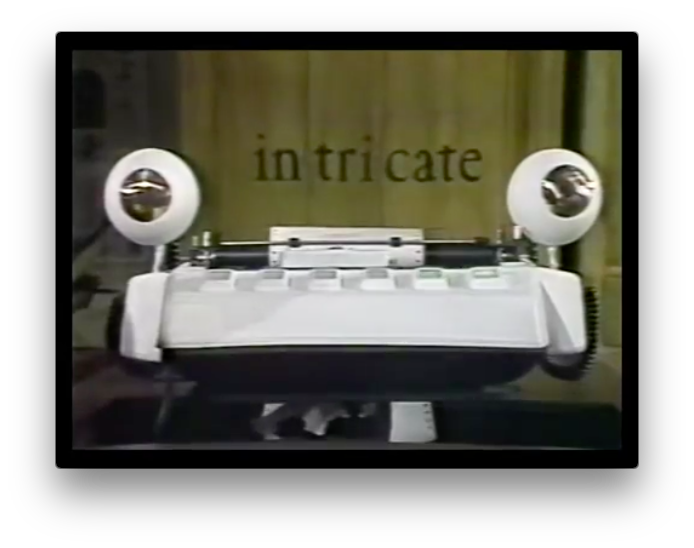 There’s something fishy about the house, too, a suspicion instigated by a ghostly inscription on the window and confirmed by the discovery of a sentient dot-matrix printer and its monitor friend, named Otto and Theta respectively. Upon recognizing Chris as a relative of Uncle Derek, Theta reveals a message from Derek himself. 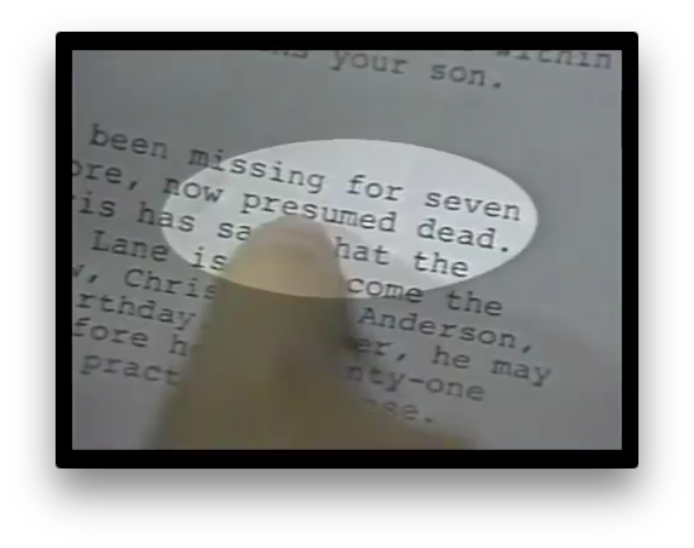 The message, while broken up, indicates that Derek is in some sort of trouble and was abducted. The robots suggest that the kids find a legitimate use for the house so they’ll have cover while they deconstruct Uncle Derek’s mystery, and they decide to start a newspaper. The idea makes about as much sense as an eight year old being bequeathed a house, so everything’s more or less on track. Shortly after that the girls are abducted as well, to an alien ship where they meet a being named Duneedon. 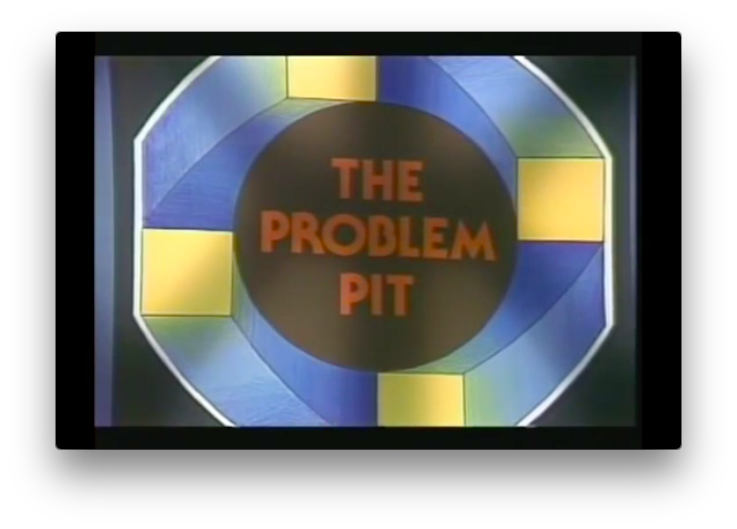 Duneedon seems like a pretty nice guy and it seems like the abduction was a mistake, but then the girls get trapped in a “Problem Pit” and need to solve word problems (in English) to get out. 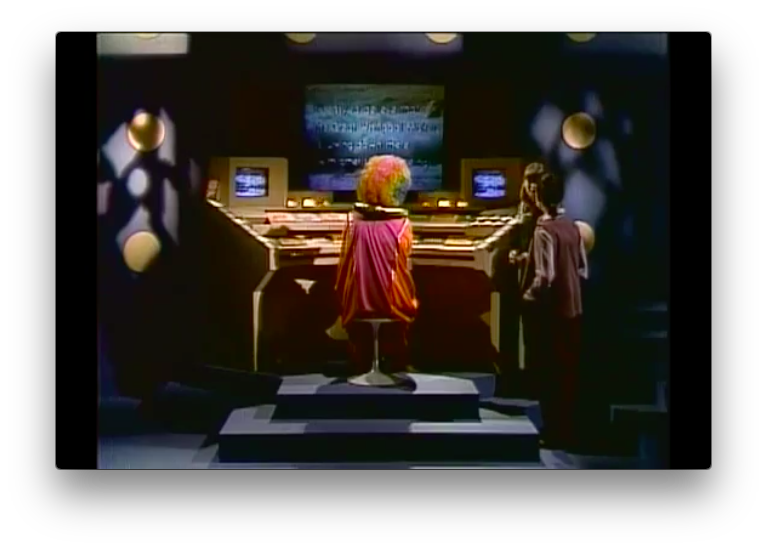 From there things get weird(er); the carriage house is visited by teleporting characters from books, the alien Duneedon reveals himself to be more nefarious than he at first seemed, Earth’s importance in the galactic conflict solidifies and these poor kids and their newspaper find themselves at the center of it all. There’s space travel and time travel and beings so powerful they’re able to threaten reality itself and it’s all glued together by words and grammar. And that’s awesome, right? That’s the promise of public television in a nutshell – big ideas made modest by budget that can still find ways to retain their big-ness. The acting is pretty bad here, the effects are laughable, and the plot is bonkers in relation to what it’s supposed to be teaching but none of that matters. It’s really fun. The effort put into the world design is impressive, too. Public Television for kids has moved away from this free-for-all creative sandbox in a lot of ways, but there’s still some magic there. It’s just that it’s…conventional magic. The days of Read All About It!, Reverse The Curse, and Mathnet, unfortunately, are behind us. Here’s the first episode of Read All About It! Warning: it’s a rabbit hole. I had forgotten about watching public television series in school, when that move wasn’t a cop-out on the teacher’s part and the shows could actually aid the lessons. We did “The Voyage of the Mimi” in my biology class in seventh grade.